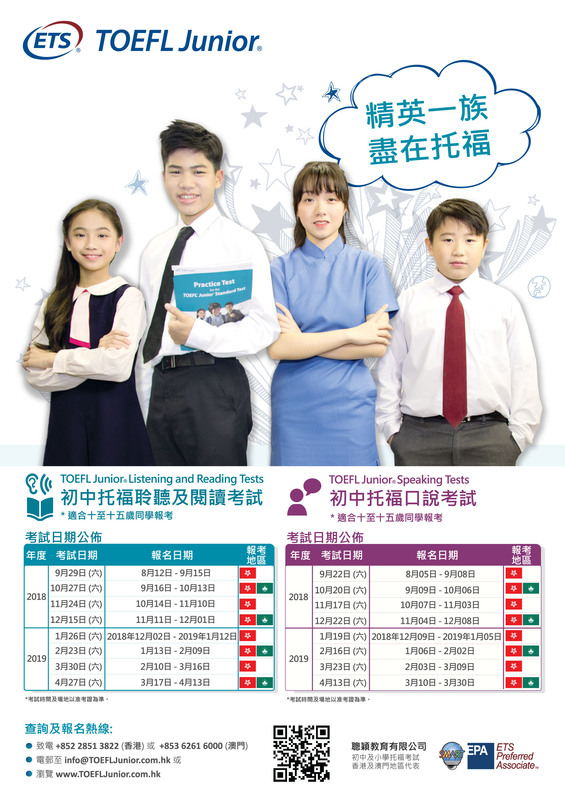 Announcement of TOEFL Junior® Public Exam Dates from Sept 2018 to Apr 2019. * Please refer to the admission tickets for the exact examination time and venues. You can register for the TOEFL Junior® tests by using our online registration system. This entry was posted on August 24, 2018 by Ho Chloe.